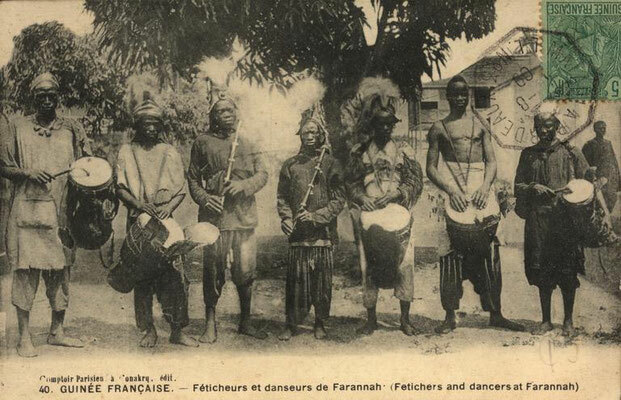 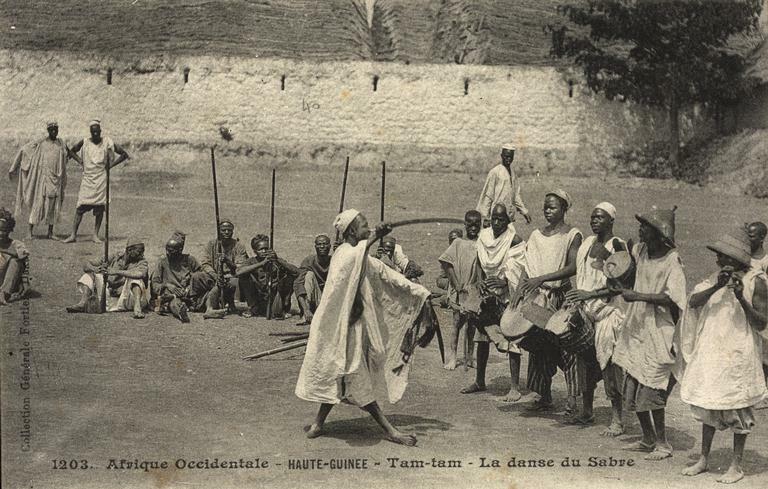 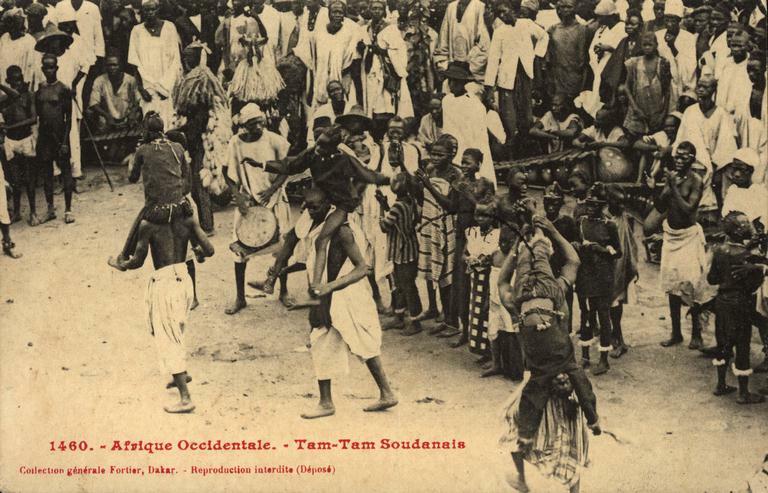 Most of the oldest photographs of jembe drum/dance performance, instruments, and players, were shot between 1900 and 1910 by François-Edmond Fortier, a French photographer based in Dakar. 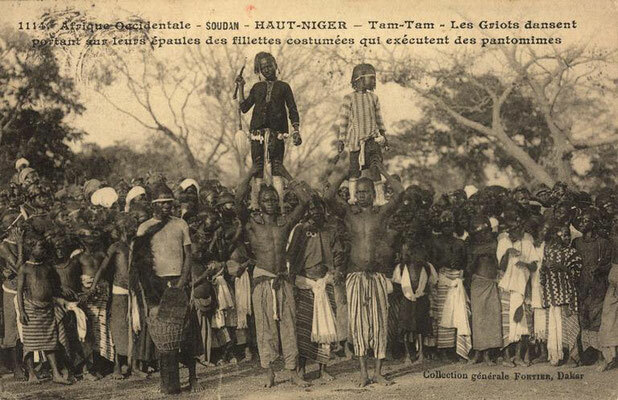 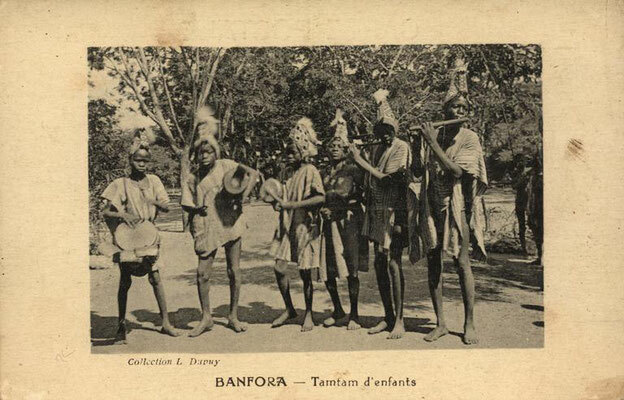 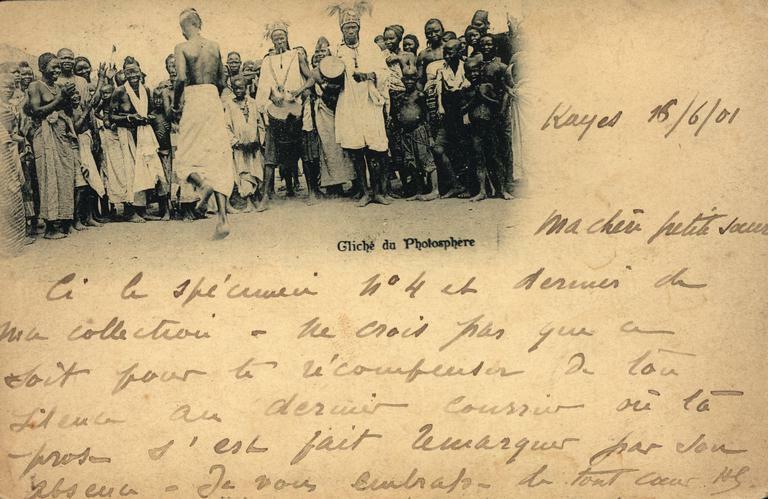 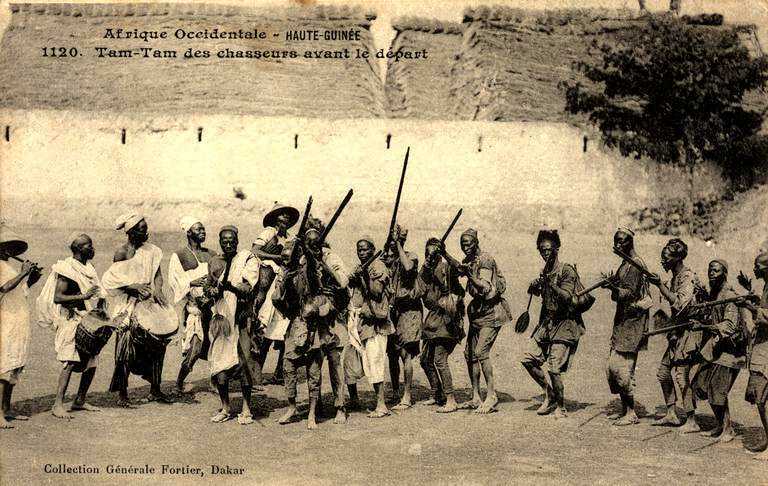 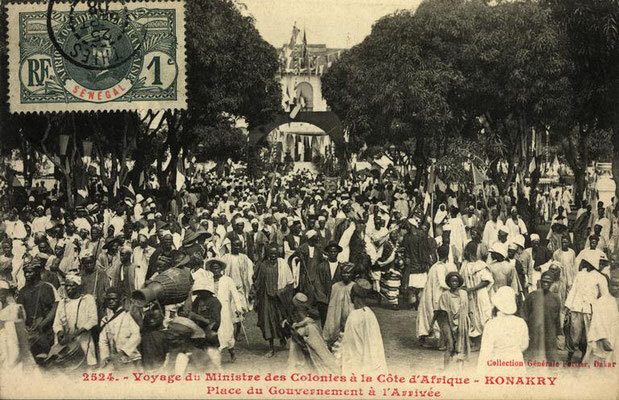 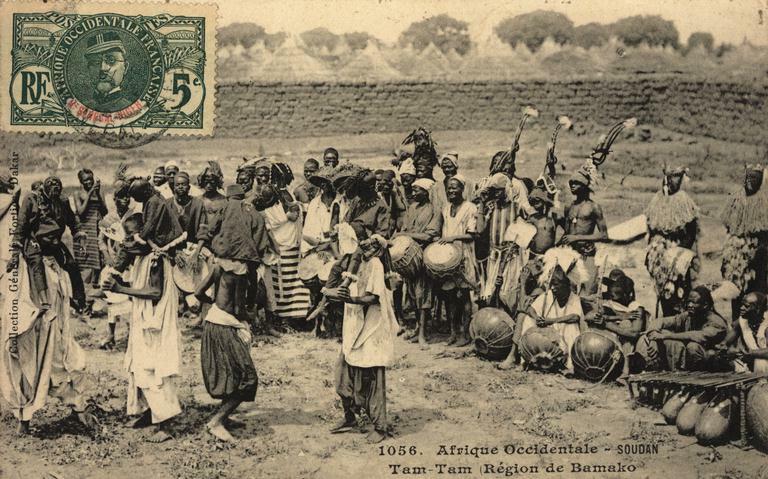 Fortier produced postcards that were sent home by colonial administrators, soldiers, and others from French West Africa. 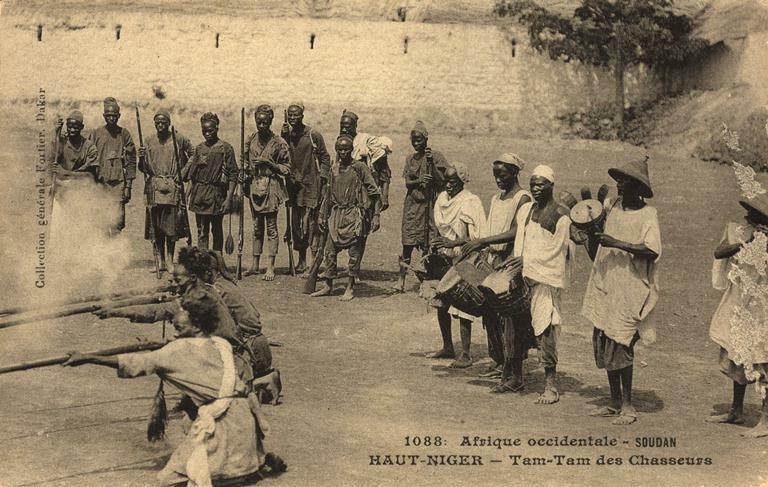 All of these images of jembe drums originate from what is today southern Mali or northern Guinea, with a few exceptions from Conakry (coastal Guinea), Kayes (western Mali) and Banfora (eastern Burkina Faso). Fortier and other photographers travelled all territories of French West Africa and took images of hundreds of other drums and other instruments elsewhere, but took no pictures of jembe drums elsewhere. 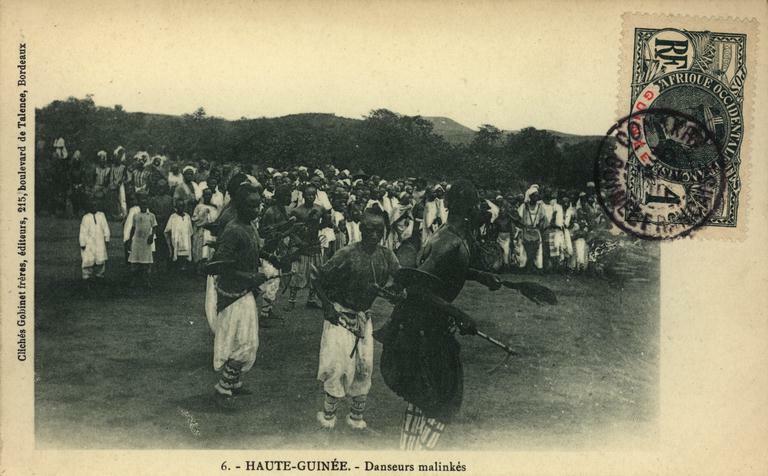 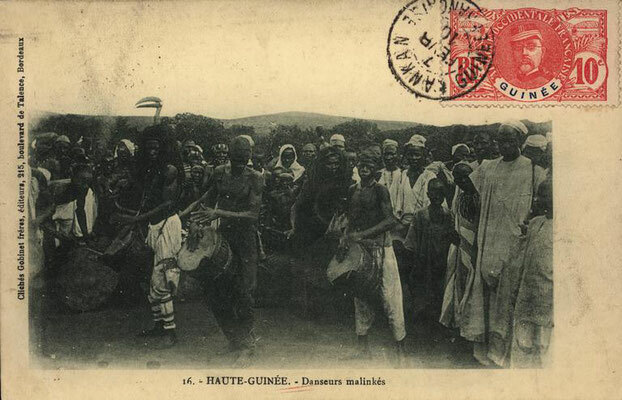 Evidently, the wide spread of the jembe during the 20th century started from a relatively concise region to both sides of the border between Mali and Guinea. 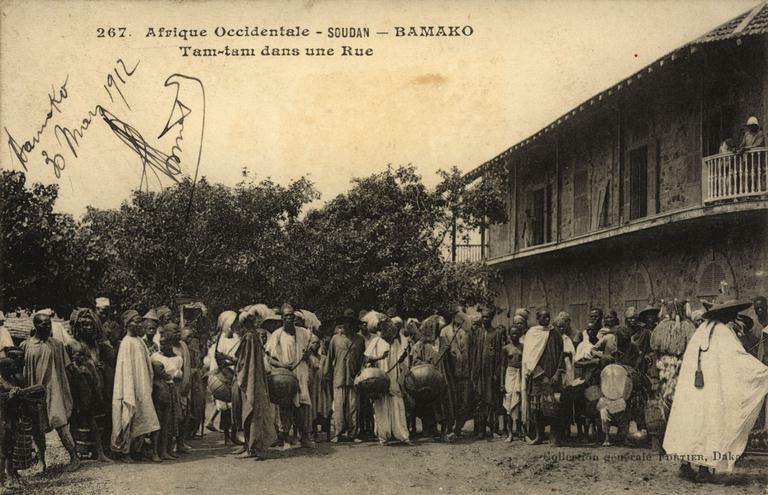 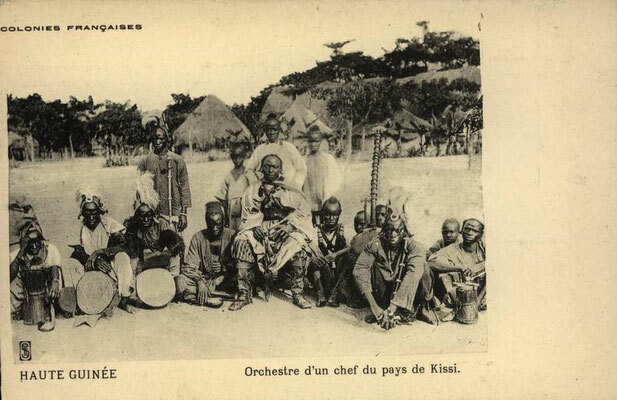 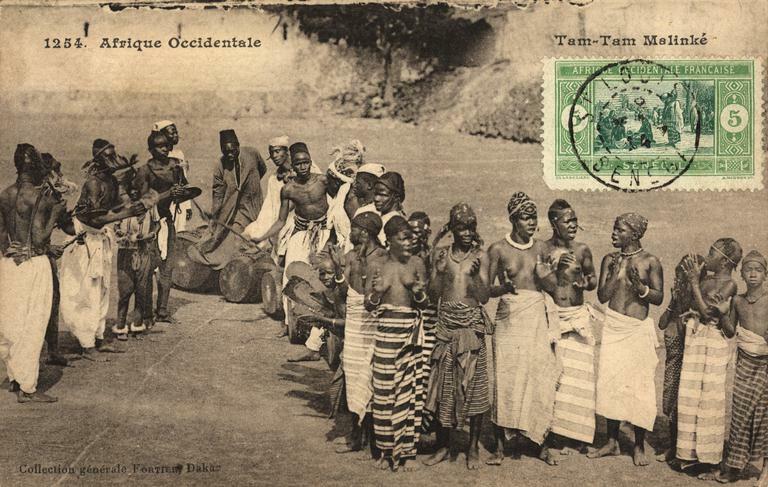 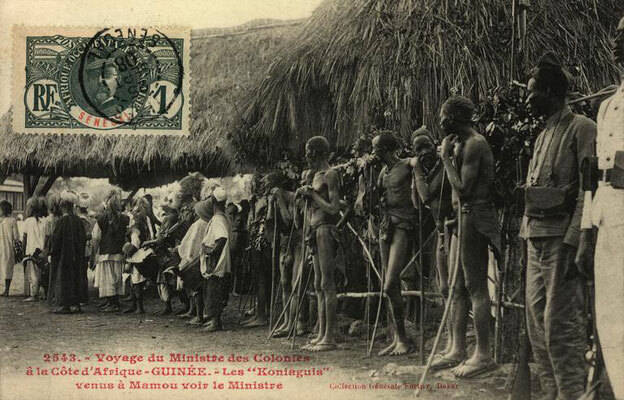 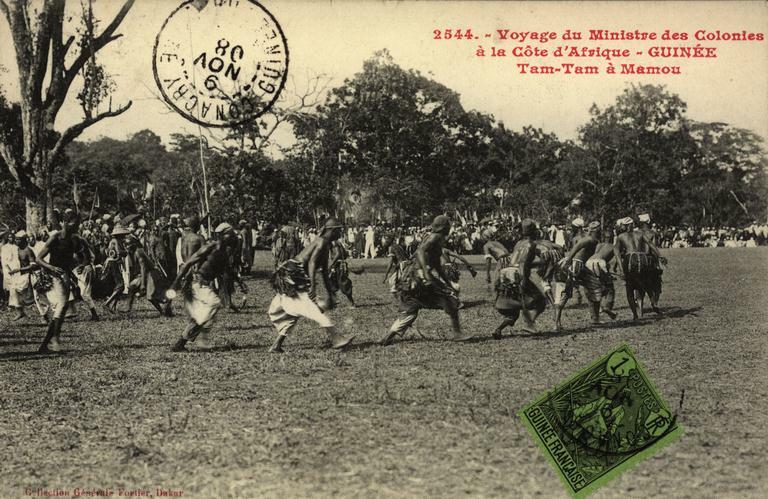 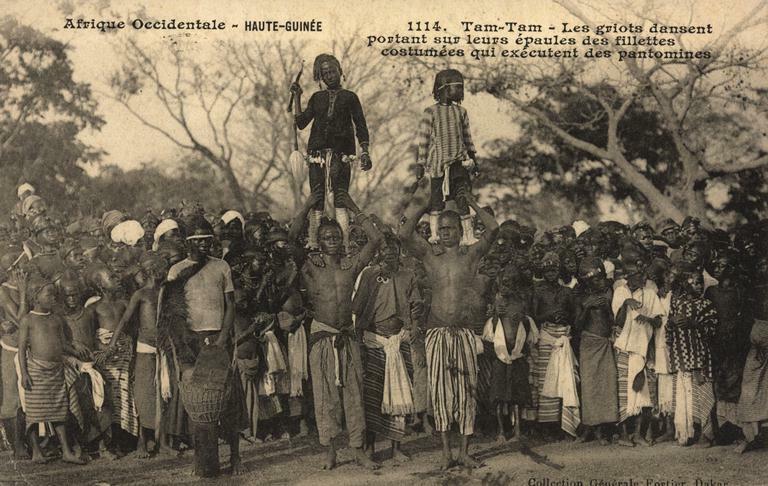 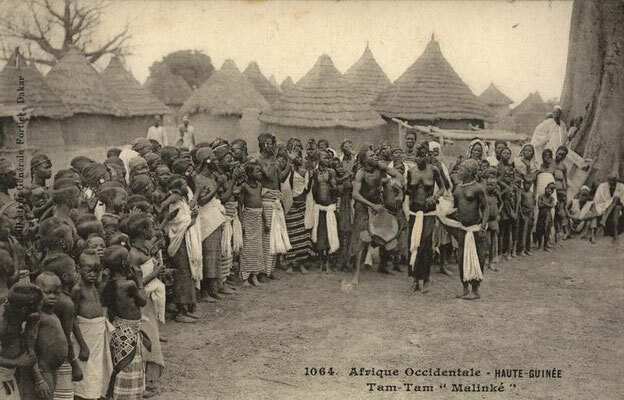 The CD-Rom Atlas du Patrimoine n°4, West African Postcards (1895-1930), produced by Philippe David (Images&Memoire, Paris; edited/distributed by ICG Mémoire directe, Paris, in the name of UNESCO), features a superb collection of 3000+ historical postcards. 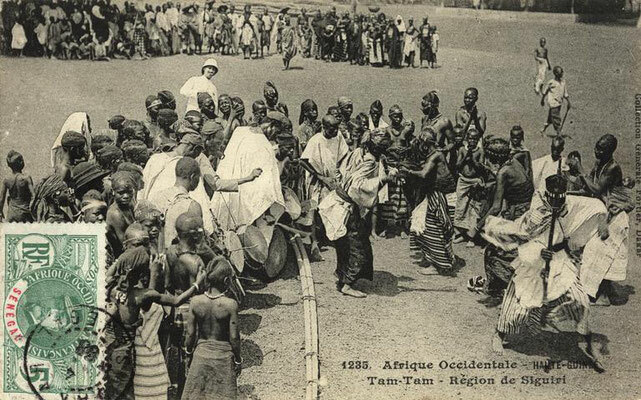 Below are about 20 that show a jembe or jembe drum/dance performance. Click on images to enlarge. Most attributable photographs: G. Fortier. 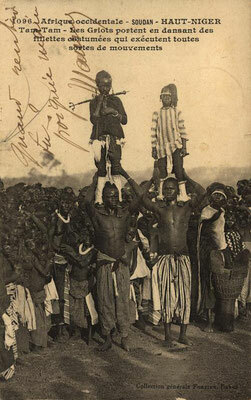 All photographs free of copyright.